Dogon Koli Hotel's beautiful structure and well-paved environment parades tastefully furnished rooms and recreational facilities suitable for all types of guests ranging from vacationers to business travellers. This 2-star hotel situated at Western Bye-Pass, Beside State Secretariat, Shiroro Road, Minna, Niger State is 2 minutes' drive away from the NNPC mega station. At Dogon Koli Hotel, guest rooms are classified as Standard, Royal Double, Luxury and Presidential Suites. 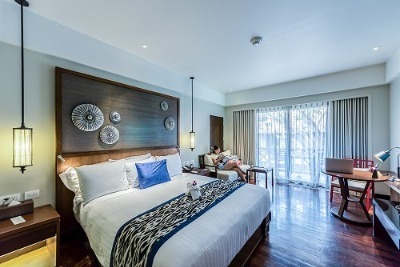 All rooms are well-appointed and furnished with air-conditioners, flat screen TV sets with satellite connection, chairs and work tables. Wi-Fi connectivity is available in all rooms while complimentary breakfast is served daily. A restaurant and bar are available where guests can have well-cooked meals and an assortment of drinks respectively. Ample parking space is available, while constant power supply and security is guaranteed. Additional services available on request include laundry, room service, concierge and luggage storage services. Q: Does Dogon Koli Hotel have a swimming pool? Q: Does Dogon Koli Hotel offer free internet access? Q: Does Dogon Koli Hotel render airport pick up services? A: No, this service is unavailable. Q: Does Dogon Koli Hotel have a gym? Q: Does Dogon Koli Hotel allow free parking? A: Yes, on-site parking space is free. Dogon Koli Hotel Limited is an affordable hotel in Minna, Niger. My stay at the hotel was just fair, nothing too impressive. The room was tidy with well laid bed spread on the big bed I slept in. The staff tried to meet my needs but it just was not satisfactory. If there's anything I will return to the hotel for, that would be their meals. It tasted as great as the meals in my home. Kudos to the kitchen, you guys rock. I made a reservation online through Hotels.ng, to my surprise my room was kept for me at the hotel. I was well received by the staff. Thanks to you people you are doing a great job and God will take you to the top and continue to help you. Have nice pictures of Dogon Koli Hotel Limited?